Talk about a stroke of luck. 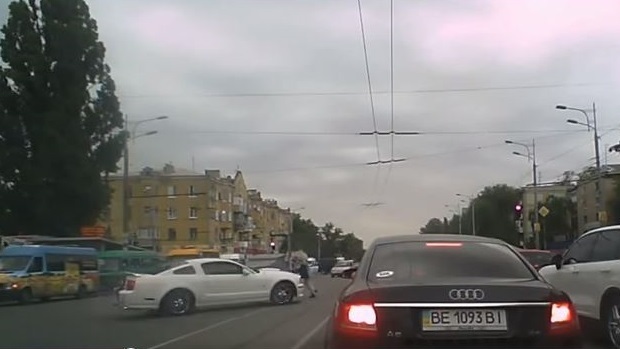 Check out the video below that shows how this Mustang driver comes drifting around the corner, narrowly missing a woman walking and then spinning into an Audi A6. Thankfully he didn't hit the pedestrian and she didn't freak out and run into the path of the car. I bet that guy got an earful from the driver of that Audi. Well, I'm having a good day!